Reserve your spot with Jonathan "JC"
Le français facile et rigolo c'est ici ! I was born in Paris' suburbs (Nogent-Sur-Marne). French is my mother's tongue but it is not enough to be a good teacher. I got a degree in French literature in 2002 (added to English, German, and Russian). I am a patient teacher for all levels, and all ages. Also people say I am super fun to work with. Feel welcome to ask for help either for personal or business purpose. Le français est une langue qui a beaucoup de charme, le secret est juste de pratiquer ! C'est facile ! Commençons avec les basiques, puis étape par étape nous progresserons ensemble ! Jonathan "JC" delivers an exceptional lesson experience and ranks in the top 15% of our teachers nationwide. I believe the best way to teach is to make it simple and fun! I am patient and dedicated to your success. Everybody wants the best. I believe quality is the most important. I also believe each person is unique, therefore each student should have tailored lessons. Teaching should be a positive and fun experience. I believe in a personalized and genuine approach. In my experience the benefits are enormous: we save a lot of time, energy, and since it is way more suited to the student, we are more efficient = happy! Hopefully Wisdom will come out of this process. All we need is a little support to all grow together. Photography has been my full-time job since 2003. I am a 34-year-old French-American man living and working in Minneapolis Minnesota. I have +16 years of expertise as a professional photographer. Recent clients include Porsche Minneapolis, Taste of the NFL, Medal of Honor Convention Twin Cities, and Women's Leadership Trust Forum. I will be your teacher today. I am a husband and step-father who moved to Minnesota in 2015 to live with the wife Sophia and 2 kids: Blake and Samara, 16 and 14. They all are musicians or artists. From 1995 to 2002 I primarily I studied French literature, English literature, and German, and even Russian for 3 years when I was in high school in France. I was born in France so the language is my mother's tongue. My parents are Monique and Alain, typical French names. I have an older brother (Frédéric) and a younger sister (Johanna) who lives in Québec, Canada now. I do not practice German and Russian at the moment but I am a specialist of French language. If you want to test my French here I am! Comme on dit en français: "quand on me cherche on me trouve !" Le français, on l'appelle aussi la langue de Molière par opposition à l'anglais qui est la langue de Shakespeare. Le français c'est facile car il suffit de pratiquer souvent avec un bon prof' qui sait ce qu'il fait. Et voilà les amis c'est comme ça qu'on doit bien faire les choses en bonne et due forme ! Y'a pas d'secret vous pigez le truc on quoi? Si tu es d'accord dis-moi oui oui hoche de la tête mon ami ! Alors, tranquille le chat? T'inquiète biquette ? Ça roule ma poule ? In 2015, before I moved to the USA, I was the President of nonprofit organization Association Sunyoga France, French branch of the main NPO from India called UNIVERSAL PEACE CENTRE, for scientific and spiritual research, agriculture, clothing, taking care of orphans and elderly people, with a health center and an education center. Our 7 humanitarian programs focus on creating a Self-Dependent and Sustainable Global Family Home University. As we speak, we have people from +14 countries working together towards that goal. I know the organization well since I have been working with them since 2012 in France, India, Serbia, and now in the USA! I am now working on creating the American branch of the association. It is called Universal Peace Centre • SUNYOGA AMERICA. Teaching is a big responsibility. Parents and teachers, it is our duty to teach the best. Let's do our best together. Thank you for your trust and friendship. Wishing us all best success, peaceful, blissful, healthy, and enlightened life. I work for the Universal Peace Centre, an Indian nonprofit organization which is present in +14 countries worldwide. I am the President of the local American organization. Our mission is Universal Peace, Universal Unity, and Universal Brotherhood. We are creating a self-dependent and sustainable Global Family Home University which includes +7 social programs: Food, Farming & Agriculture, Shelter & Construction, Clothing, Health therapies, Global Family Home for orphans and elderly people, Education, Meditation and Sunyoga, Self-Realization. We also have a program for Higher Education and Research for scientific, spiritual, and education purpose for the benefit of humanity and society. Everyone is welcome to participate and learn with us. I joined the team of our French-American cultural center on Bastille Day July 14, 2015. I now take photos of events, shows, talks, and all activities taking place in Minneapolis-St Paul, but also off site like in Rochester, MN, or on the lakes for outdoor activities. May 11, 2016 was our successful annual Gala "Mais Oui Orient Express" at the Depot of Minneapolis. +16 years of experience in many countries around the world. Internationally published and awarded. I now live and work in Minneapolis, MN, USA. The mission of Alliance Française Mpls/St Paul, an independent chapter of a worldwide organization, is to serve our community by promoting the use and appreciation of French language and cultures through language classes, cultural programs, social events and information resources. 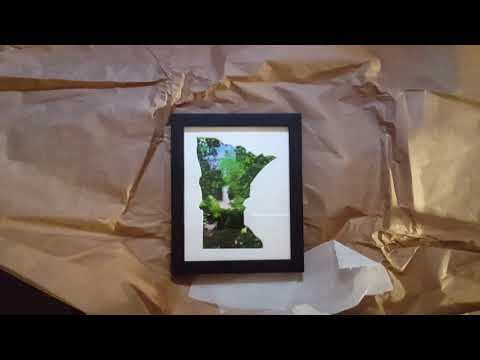 #Minnesotagraphy fine art 9x11, Minnehaha Falls. By JC•Jonathan C. photography French-American artist. Story time with baby Elodie. Savage, Minnesota, USA. Practice of street photography in Minneapolis, MN, USA, with students Mike, Nimi, Vira, Jessica, Susan. At work on a fashion photoshoot in Paris, France. #fun #family 2015 on Victory Memorial Parkway Thanks Samara for the Bunny ears! Me at work - professional selfie! Helping with Josiah's events. Josiah is a Youth Pastor at Cedar Valley Church, Bloomington, MN. With Medal of Honor recipient Lieutenant Colonel James Mike Sprayberry. Diving in the Red Sea, Egypt, 2011. On the beach with friends in Holland, Michigan, USA. Still looking at my photos? Ok: me as a baby. I was born Dec 4, 1984. One of the rare photos where I do not smile. The day Dino got adopted, we were sad to let him go. Surrounded by my parents! 2016 in Burgundy, France (Bourgogne). 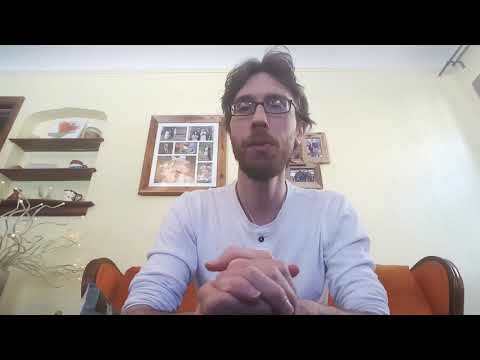 Jonathan is a very skilled teacher that takes you expertly through SunYoga meditation. His guidance and humor has allowed my spirituality to grow boundlessly. Jonathan was awesome! He was very helpful and did a great job working through all of the questions that I had. I will definitely be signing up for more lessons! Plus it was great to learn how to add my cats in all photos! A new Photobombing level of greatness!! Trying to learn adobe on my own almost to push me to become alcoholic ! Since I started to take classes with Jonathan Finally starting to understand the process. Very personable and easy to talk too. Well versed in the proper French grammatical structure and helpful with questions. Jonathan is a great teacher! JC is a fantastic instructor. He communicates clearly and works hard to make sure the material is well understood. He also makes time to fit in any questions you may have about photography that aren't covered in the lesson. Jonathan was a great teacher. His enthusiasm was contagious :). It was great fun learning with him. Jonathan has a very positive and encouraging attitude about learning a language, which I believe is one of the most important fundamentals. He took the time to provide me with voice recordings of every word (and letter in the alphabet!) that we practiced, and also informed me of numerous resources to help get me started with French. As he is a native speaker, his perspective is great when it comes to offering pointers on accent/pronunciation, and even things like idioms and slang. Despite encountering some technical issues in our first lesson, Jonathan kindly spent extra time with me to make up for the lost time. I look forward to continuing our lessons! Jonathan is such an inspiring and motivating photographer. I was fortunate enough to participate in one of his workshops almost a year back. This review is based on the amazing experience during the workshop and highly beneficial interactions with him beyond that. The workshop itself was wonderful. Jonathan made sure that every participant understood exactly what he was talking about on a one on one basis. ‘Patience’ - the virtue great photographers are known for was on display live. There were beginners, intermediate and professional level photographers and each of them learned a lot from Jonathan and from each other. The biggest impact was the photography community feeling Jonathan created in us and all of us interacts with each other even after a year and learn together via social media groups. As part of the conference, there was a street photography session where we interacted with strangers and got their photographs. It was a great experience. Being new to Minneapolis and from a different culture and upbringing, this experience helped me to gain a lot of confidence and finally I was able to come out of my shell. The best part about Jonathan is, he helps me out so much with my photography even months after the workshop. Also, he provides the opportunity to assist during photo shoots which help me a lot to learn just by observing. It really really helps me improve my photography knowledge and experience. I would definitely recommend Jonathan to anyone who is looking to get into the photography world. He is such a great teacher who will inspire and be with you throughout your journey!! This is Andres' mom rating the class. I have to say that Andres was very excited about this first class, and since it ended, he has been studying. I guess he was captivated. Amazing achievement! I am so thankful I found Jon via takelessons for photography lessons. He is an amazing, encouraging and a patient teacher. Before the class, we discussed my goals and Jon came up with a lesson plan to help me meet those goals in 3 days of classes. I have learnt so much during our classes so far - the impact of light on photographs, the importance of talking with the subjects/models and the benefits of patience and being a keen observer. Jon is ever so helpful and is always suggesting ways to help me improve my photography skills. Thank you Jon!!! He wisely starts with the fundamentals. Reinforces it thru different language and examples. An excellent base. Friendly, enjoyable company and answers questions thoroughly. thank you so much for improving my French. It is important for my studies. Thank you!